AP Polycet 2019 Counselling Dates available here. Check Andhra Pradesh POLYCET/ CEEP Counselling procedure, Certificate Verification Process, Web Options list, Fee etc., on this page. Get all the required documents list for the AP CEEP Counselling certificate verification. The AP POLYCET Counselling process is given below. So check all the details regarding the APPolycet Counselling 2019. 1.1.1 Who can attend for POLYCET 2nd Phase Counselling? The AP Polycet Counselling Schedule released by the AP Education Board. Aspirants who have appeared for the AP Polytechnic Entrance Exam in the month of April 2019 are waiting for the Counselling Dates. This AP Polycet/ CEEP Exam is conducted for the SSC completed candidates who are interested in doing Diploma Course. This Exam is conducted at various centers in the Andhra Pradesh State. The APSCHE Board of Education has already announced the CEEP Results. Aspirants who got qualified in the Polytechnic Entrance Exam are eagerly waiting for the AP Polycet 2019 Counselling Schedule. Those candidates can get the complete details of AP Polycet CEEP Counselling. To Participate in the Counselling Firstly Aspirants must complete their Certificates Verified. Then only they are Eligible for the Web Counselling. Those candidates can get the AP Polycet Counselling Procedure here. Check Rank Wise AP Polycet 2019 Counselling Dates, Web Options Entry Dates & Process, Required documents List for the Certificate Verification on this page. Every year, Andhra Pradesh Polytechnic Common Entrance Test Board will conduct this AP Polycet CEEP Examination to fill the Admissions for the Diploma Course. As like every year, this year also they have conducted the Exam at many centres in the state of Andhra Pradesh. For this AP Polytechnic exam, they have released Admit Cards for the Polycet Exam Applicants. Aspirants who have attended the Polycet Exam in a large number. Now, Candidates who qualified in the CEEP Exam are now waiting for the CEEP AP Counselling Dates to Join in the Polytechnic/ Diploma Course. Go through the given Counselling Process given below. Who can attend for POLYCET 2nd Phase Counselling? Candidates who come under following conditions can attend the AP POLYCET 2nd Counselling. Secured Seats but not interested in joining. Not secured seats so far but their certificates got verified. Not exercised the options so far but got their certificates verified. Secured a seat, reported and aspiring for a better option. Reported/ Not reported but cancelled their 1st Phase allotment. Attended for certificate verification as per the above schedule. Here, we have mentioned the AP Polycet Counselling Helpline centers list 2019-2020. Government Institute of Chemical Engineering, Vishakapatnam. Sri G Pulla Reddy Govt Polytechnic, Kurnool. Dr.B.R.Ambedkar Govt Model Residential Polytechnic, Rajahmundry. Smr B. Seetha Polytechnic, Bhimavaram. Nellore, Govt Polytechnic for Women. Sri YVS & Sri BRM Polytechnic, Muktheswaram. The candidates who have good rank in the AP POLYCET Exam can now check for the AP POLYCET Complete Counselling process, Required documents and dates here. Residence Certificate (in the case where the candidate has no institutionalized education). Check Counselling Date & also Center/ Venue for your Rank. Visit the AP Polycet Counselling 2019 Center on your Rank date. When the officials called your Rank, go and Submit the Counselling Application & Original certificates. Visit the AP Polycet official website. Search for the APPolycet 2019 Web options Link. After a few days, seat allocation will announce through SMS to the applicant’s registered Mobile number & Email Id. Download the seat allotment letter from your AP Polycet Registration account and go to the allotted college at a given time & submit it. Name of the Board: Andhra Pradesh Polytechnic Common Entrance Test Board. Exam Name: AP Polycet 2019. The POLYCET/ CEEP Board will give the Polytechnic Colleges Fee Structure on the official site. Check all the Fee details there and Pay at the alloted College by visiting the college/ Net Banking. Once the payment is made, download the Admission Order/ Seat Allotment order and submit it to the Allocated College. Aspirants who are going to attend the CEEP/ POLYCET 1st Counselling in the year 2019 can get all the details here. Candidates who are not satisfied or who have not get a seat in the 1st Counselling can go to the 2nd AP CEEP Counselling 2019. We will update all the Counselling Schedules i.e., 1st, 2nd on this page. Visit our site regularly for complete information. 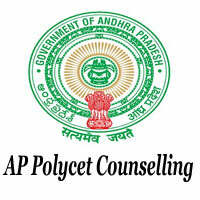 The AP Polycet Board has not yet released the AP Polycet 2019 Counselling Dates. When the officials release the Polycet Rank Wise Counselling Schedule & Web Counseling Dates on the official site, we will update here. You can check all the details regarding Polycet Counselling Details here. So, Stay tuned to our Site for complete information about AP CEEP/ Polytechnic Counselling 2019. The Direct Link to download Andhra Pradesh AP Polycet 2019 Counselling Official Notification enclosed below. Just click on the link to check the complete details about CEEP Counselling. Idi 2nd counselling dates as Cheppandi….. I would like to know the rank wise counselling dates and procedure for 1st counselling. Sir my rank is 48572 ,may is know when will I have counseling . I got 58 marks in polycet. & My rank is 25,000. Iwould like to join in diploma in pharmacy in sv govt polytechnic college at Tirupati. It’s​ possible??? Ap polycet counciling date please sir. Sir plz inform ap polytechnic counciling dates . please madam or sir I want Counselling dates SMS this No.8466924284. I want counselling date’s as a text message to my email. Please release the dates as soon as possible. sir/mam which is best govt college in ap with free hostel Ian BC I got 60 morks. please provide the councelling shedule for BC canditates also. In which college the councelling takes place ? when will be the 2nd counselling ?? Hello sir my is 2265 sir in first councelling i kept tanuku s.m.v.m college as 1st option and i kept vizag for 2nd option in 2nd councelling can i get seat in vizag govt polycet seat in mechanical sir. I hope you will calrify my doubt sir. Sir, I want second counselling dates and schedule. I would like to get exact 2nd counceling date……. Does anyone know when is the second counselling for polytechnic 2017? I am waiting for the second counselling dates. Please let me know if anyone knew here? Please update the information presented by u. My friend’s rank is 30100, can he get admission into Aditya engineering college, east Godavari. IAM not attended for the 1st counselling because I can attending 2nd counselling???? What happened tell me sir?????? when I have to put web counselling again? I am getting a eee branch in second phase counselling…I have no interest to join a electrical department.sir pls tell me third phase counselling date….